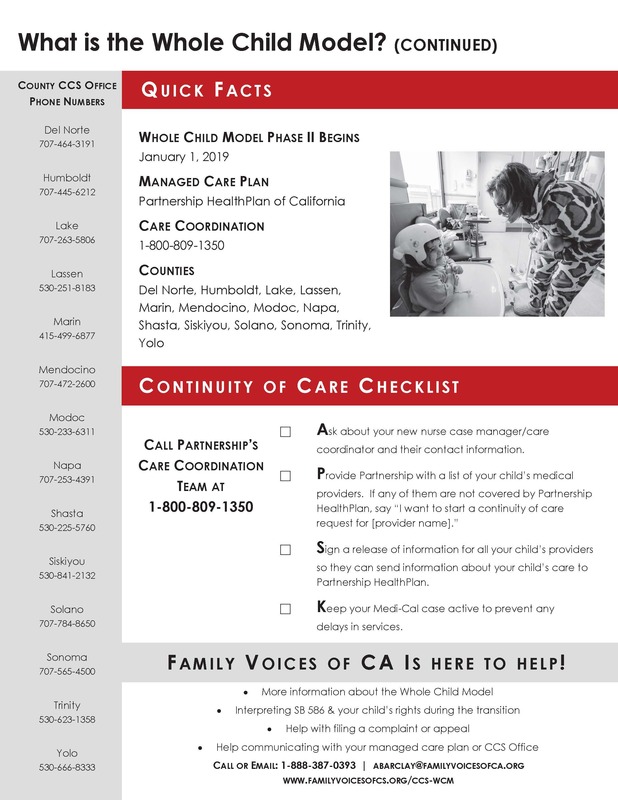 Phase II Fact Sheet (Partnership HealthPlan) English – What is the Whole Child Model? Phase II Fact Sheet Spanish – ¿Qué es el Modelo del Niño en su Totalidad? 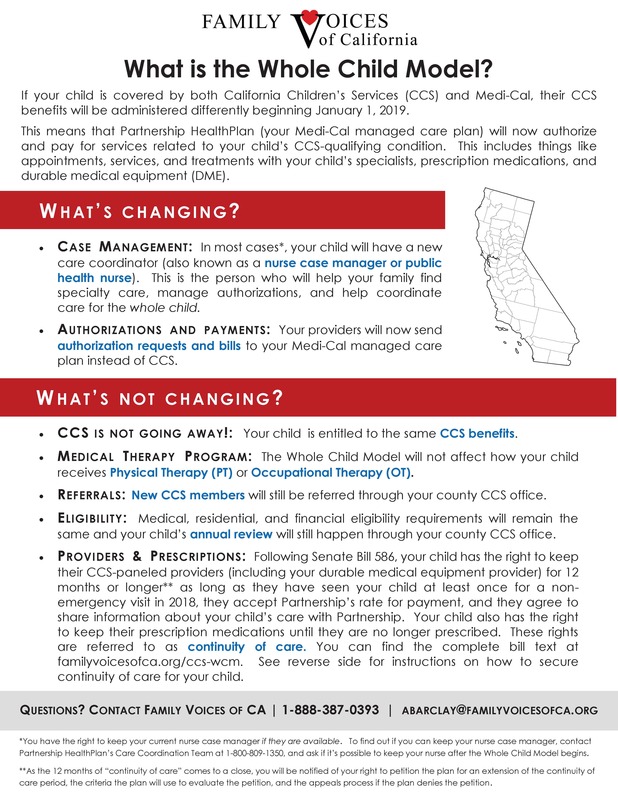 This means that your Medi-Cal managed care plan will now authorize and pay for services related to your child’s CCS -qualifying condition. This includes things like appointments, services, and treatments with your child’s specialists, prescription medications, and durable medical equipment (DME). Questions about the Whole Child Model?